Today I am painfully aware that I overthink a LOT in my life. I like those ducks to be in a straight line, following me perfectly. Yet in reality, they are monkeys and they all belong to me. They copy me, they run ahead. They make faces and laugh at me. But somehow, I just keep moving forward. Determined to follow this vision for our community through to what will be NEW LIFE in Springfield. Drawing from my 17 years in 12 step I take one day at a time, I make a personal inventory of what is good and what is not good in me, and I rat myself out to another trusted soul. I’m a work in progress, and so is this adventure of bringing a more accepting approach to art in our town continues. My personal vision is to see more families and individuals recognize their potential as creative beings. To see that spending time with one another doing things creative, will nurture community within. We are all ONE BODY, and all have something to contribute. It’s my desire and passion to take the fear out of the equation, and make art an enjoyable, team building experience for one another. So I keep moving forward. Trusting that I’m being led to where I will be today. That I will do and say what I’m led to do and say. And that my desire for such LOVE that becomes evident with connections between humans is GODLY and will grow to be amazing – far beyond what my monkeys think we can do. Since the Springfield Art Gym has moved to 62 Clinton Street, and lots of publishers have made the announcement, I thought it would be good to share what hours I’ll be there to give instruction for decorative painting and method painting by appointment. You’ll find my contact information on my about page to make arrangements for another time, but these are the hours preferred. So too are the classes and workshops that are offered to the public at low or no cost. We understand that our community is economically challenged, however when an individual comes and pays to use the gym, their rewards are unlimited. 62 Clinton Street is where we will be. Check on Facebook for our hours. Join the club of creative explorers – we’re eager to meet you! Springfield Art Gym is coming to downtown Springfield thanks to the diligence of Wendi Lashua-Germain and many of her Springfield Restorative Justice Volunteers! You’ll be able to drop in with or without your kids at this no fuss drop in center where people will “exercise their creative process”. 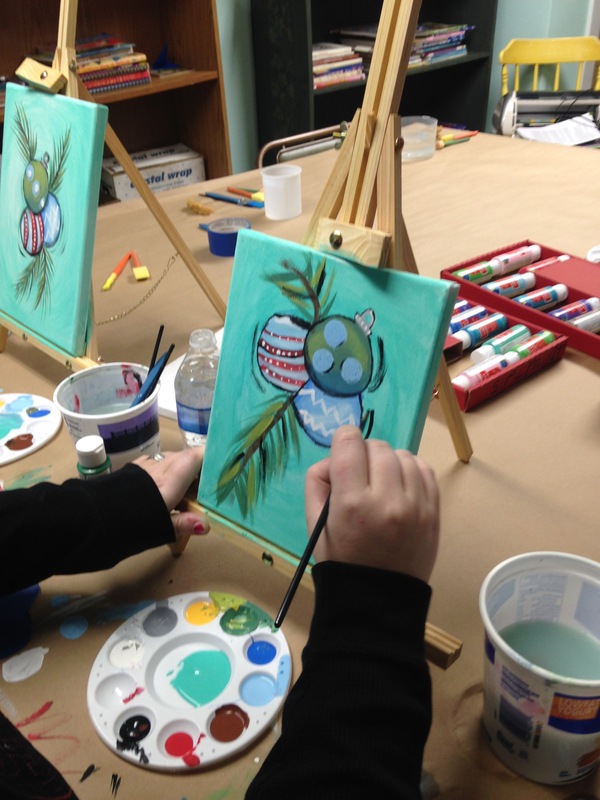 Come paint, color, do bead work, macrame, sculpt with upcycled items. It’s all about exploring – exercising your creative wings. We may become too big for our space after one year, but for now 3 Main Street (formerly the home of Computers by Ken) will be our location. If you click on the name it will take you to our Facebook page. There will be an EVENT that I’ve created to raise awareness, and raise money to pay for our 501 (3) c and insurance. Springfield is the home of SO many talented artists. We hope that those with years of experience will choose to hang out with the newcomer and just watch as the miracle happens when creative minds come together in one place. CELEBRATE with us as we make this dream come true. It’s been a few years coming, but Springfield, VT is going to be THE place to stop in and create when you’re traveling with your family. I’m so excited about being a part of this community experience; birthing something anyone can participate in. 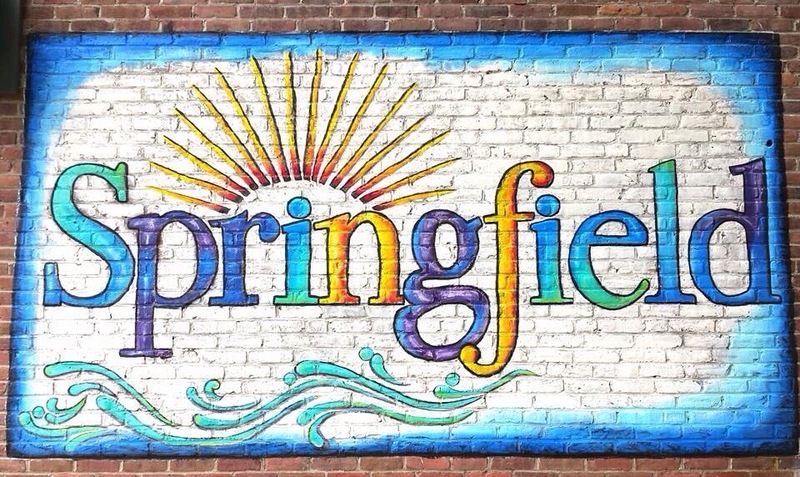 Springfield on the Move has been my GO TO agency when I have creative ideas that I want to implement in town. I’m always greeted with a smile, and their response has always been, “GO FOR IT!”. So we are! Wendi Germaine, Carol Lighthall, myself and a few others are creating a space right downtown where we can be free to create with many types of media. We’ll be teaching, we’ll be making, we’ll be offering space for those who love to create. It’s exciting and scary at the same time because these things take money if you want to do it right! Thank God that Wendi has been doing such a great job at getting people to see our vision, and establish some buy in for this project. But we’ll need YOU – my beloved supporters of all things divinely inspired – to put your money where your mouth is and be contributors! Springfield is desperate for a breath of fresh air, and I’m here to say that I will be the change that I want to see in this town. ONE ART PROJECT AT A TIME! Won’t you join me? Leave a comment with your email address, and we’ll talk more. Thanks everyone!! W E love Art in ouR Town! I’m celebrating 20 years of home ownership this year and it feels pretty stinkin’ remarkable! I’m excited about the new adventures of public painting in this art club I’ve been developing over the past 5 years. Through trial and error, and much grace needed along the way, I’m living out loud this dream of creating a community art program that is called “Art in Our Town”. A bit of a spin-off from Wendi Germain’s/Springfield Restorative Justice Center’s “Not in Our Town” campaign to hold our ground with the recent crime increase that has all of us pulling together closer as neighbors and friends; business & home owners. Art has a way of translating us to another place in time. We are forever grateful as a family for all the support we’ve felt here in Springfield, VT. I still have a heart that wants to give back, while mentoring fellow artists to reach their fullest potential. Thank you all for encouraging me to run towards the prize that is set before me.